We believe in Peer Review and not Peer Rejection. You could send us your choice of Reviewers and we will select one out of it (not a complusion, we might not send to them as well). 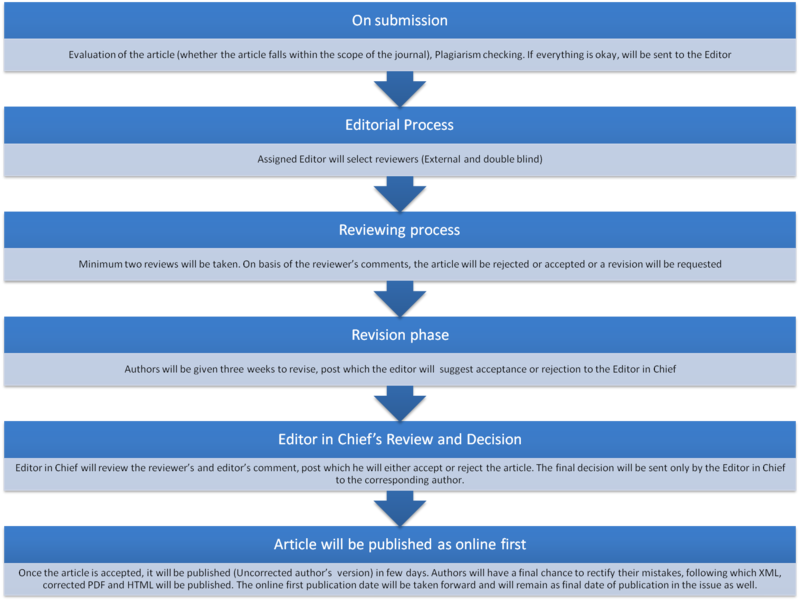 We will also send the article to 2 external reviewers to make it a fair review. Reviewers should declare their conflicts of interest and recuse themselves from the peer-review process if a conflict exists. Reviewers can either accept, reject or ask for revision. The Editorial board at JMRI follows a time table which is based on it's current workload and as far as possible tries to adhere to it. Please note: from 8th October, 2017; JMRI has started following Open Peer Review (during the peer review process, the identity of authors and peers will be blinded, but after publication, it will be revealed and all the comments made by the reviewers and the authors shall be published in the comments box below the article along with the full HTML). This is done to provide the best quality peer review system.